While studying general relativity today, I came across this wonderful quote from Albert Einstein. For most of this summer, I’ve been studying general relativity. I have a pile of physics textbooks here on my desk and I’ve been reading and working through them. When I research something, I tend to go online and find book reviews and order the textbooks which get the highest reviews. Strangely, that process didn’t work so well for me with general relativity. If you read the reviews, they’ll all tell you go with Bernard Schutz’s A First Course in General Relativity. So I did, and I worked through a bunch of it, but I really don’t care for it. I did not find it very clear. I ended up reading several other textbooks, but the one which really worked for me is this one. It’s extremely clear and easy to understand. It’s filled with all kinds of helpful pictures, has lots of worked examples, and concepts are explained very clearly. I can’t recommend it more. I found this textbook by chance when I was looking for solutions to another textbook I had already purchased. There are university course websites where professors use a particular textbook and have assigned homework problems to their students and then post their solutions. That’s really helpful to a person who self-studies like me. A professor had posted solutions to about half of the problems in this book and I was really excited about that. Plus the course had all kinds of special notes the professor wrote up, explaining things even more. That’s just perfect for me. Past exams with solutions. Past homework with solutions. I can work through an entire course on my own that way. 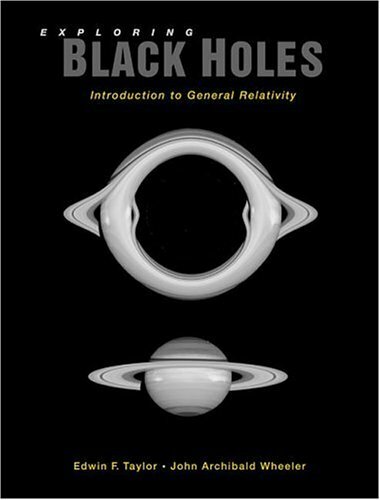 Another great book to learn the main concepts and ideas from is Exploring Black Holes: Introduction to General Relativity, by Edwin Taylor and John Wheeler. 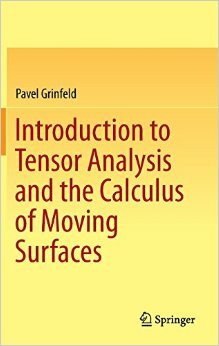 This book avoids tensors entirely, explaining all the concepts using basic high school level calculus. You’d think that would limit the authors to explanations that are too basic to be worthwhile, but you’d be wrong. I’ve learned a great deal from it. Using words and thought experiments, Wheeler manages to explain the central ideas without resorting to all this complicated tensor mathematics. It’s fantastic. It’s helped me have a much deeper intuitive understanding of what goes on within black holes, curved space-time, and all that sort of thing. 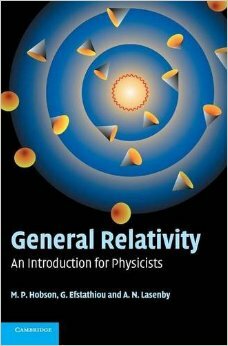 As for all the general relativity textbooks, most all of them offer brief introductions to tensor mathematics, but it’s not thorough. They all begin with a short crash course on contravariant and covariant vectors, tensors, manifolds, metrics, and all that. 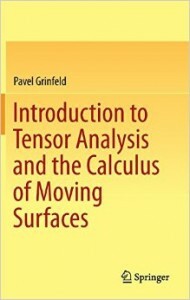 But if you want to learn the mathematics of tensor calculus really well and “get” it, I’d highly recommend Pavel Grinfeld’s textbook Introduction To Tensor Analysis and the Calculus of Moving Surfaces. I would rate this textbook a 10 out of 10, and I think most mathematics books are god awful. It’s incredibly clear. With most math books, I find myself reading and re-reading, and re-reading the definitions and concepts, and slog through the “proofs” which never make any sense. This book isn’t like that at all. I just sat down and read it and it all made sense to me from the get-go. And then I went to work the problems and since everything was explained so well, I pretty much immediately knew how to work the problems. If you search online you can find a complete solutions manual. For fun I’ve been reading the Feynman Lectures on Computation. 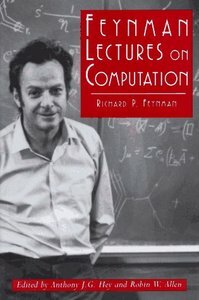 This is a collection of lectures Richard Feynman gave toward the end of his life on computers and digital electronics. It covers things like what’s computable and what isn’t, Turing machines, Shannon’s Theorem, reversible computation, the thermodynamics of computation, quantum limits of computation, and the internal structure of digital devices and their limitations. Very cool book. I’ve also been doing a lot of running — roughly 8 miles each day. I may well be in the best shape of my life! Recently a French economist named Thomas Pikkety wrote a book called Capital In The Twenty-First Century. It’s been getting a lot of positive reviews. He tracks the overall dynamics that lead to vast accumulations of wealth and capital. After carefully analyzing datasets over twenty countries which span centuries, he concludes that absent major political change, a small handful of powerful families will end up owning and controlling everything. It’s not difficult to understand how capitalism, without any wealth redistribution mechanisms, will almost inevitably lead to fewer and fewer hands controlling all of the society’s resources and wealth. It comes down to this. Say you invest your money and are able to earn 5-7% interest each year. Also, assume the national economy only grows at 2%. Your wealth is growing faster than the economy, so slowly but surely you begin to own more and more of the economic pie. Imagine a pie that is slowly growing at a rate of 2% each year. Next imagine a red splotch within that pie which grows at 5%. That red splotch (the rich) is growing faster than the pie. The only way it can grow at that rate is to take more and more of the pie from others. Maybe it’d help if I actually worked out the numbers. Say we begin with 10,000 slices of economic pie. The rich own 2,000 (20%) slices of the pie, everyone else combined has 8,000 slices of pie (80%). Now due to everyone’s hard work, the pie grows 2%. So the new pie has 10,200 pieces. The rich’s share of the pie grew at 5%, so they now have 2,100 (2100/10200 = 20.59%) slices of pie. So everyone else has 8,100 (8100/10,200 = 79.41%) slices of pie. As time goes on, these wealthy families simply pass on their wealth to their children, who do the same, and they become more and more wealthy simply because they were born with money. There has been a slow trend toward oligarchy. Ok, so that’s a nice hypothetical theory, but what do real numbers and economic history show? Analysis of real world datasets support this idea, but there are complications to consider. Tax policies in countries change over time. Here in the United States for example, we had really high tax rates in the 1950s and 1960s, and capital growth was actually slower than economic growth. That was also the time we had the strongest middle class. At other times (such as now), tax rates on the rich have been very low and capital growth has exceeded economic growth. Wars, uprisings, and rebellions complicate all of this as well. The World Wars led to a lot of destruction of wealth. Rental homes were blown to bits. Governments and their currencies collapsed. Farms and properties were taken over by invading enemy armies. All sorts of things happened. Uprisings and rebellions lead to expropriations, where the people take from the rich and redistribute it amongst themselves. We can’t forget inflation either. Wars are financed through borrowing and printing money, so that destroys capital for the rich, unless they’re the ones who lent the money to the government in the first place, or are supplying the war munitions. So it’s not quite so simple, but the overall idea stays the same. 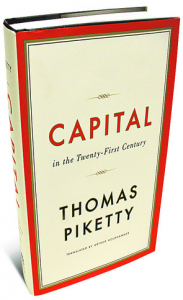 Piketty argues that we fight this trend of inequality through progressive taxation, greater financial transparency, a global coordination of wealth taxation (no foreign tax havens), and a global registry of financial assets. This is obviously preferred over wars, uprisings, or printing lots of money to inflate away their wealth. Some will argue that society needs some degree of inequality in order for growth to occur. I agree. I’m not an advocate for complete equality. However, this is a matter of degree. There are extremes in everything. Like most people, I feel we should strive for equality of opportunity, not necessarily equality of outcome. People shouldn’t be wealthy simply because they inherited their parents money. Though this is hard to do in practice, we should strive for a society where people are self-made and start off life on a relatively equal playing field. People need to be given every opportunity to get an education, job skills, and anything else required to be productive and active members of society. Many will argue that a person’s income reflects their productive capacity. If you believe this, I recommend you read the Nobel laureate economist Joseph Stiglitz’s book The Price of Inequality. He clearly shows that the highest earners in today’s society are primarily “rent seekers”, and they’re very often involved in schemes which take advantage of the tax payer and bailouts. Our system has been increasingly shifting toward one where wealth and income are redistributed not from the top to the bottom, but from the bottom to the top. Extreme inequality is a sort of cancer which infects our society at every level. Wealthy elite purchase laws and regulation which work in their favor. The entire system of justice is corrupted. Considering our upcoming presidential election here in the United States, we’re all hearing about the different candidates and which billionaires are backing their campaigns. The idea of democracy is one person, one vote. But today there is too much money in politics and we all know the system isn’t working for us, the common people.